The Acquia Platform helps businesses transform to meet the ever changing needs of the digital world. As an Elastic Path Technology Partner, Acquia and Elastic Path offer an integrated commerce + content solution based on the world's most popular open source foundation, Drupal. Drupal frees organizations from proprietary roadmaps. Own your digital destiny, and take advantage of extensive existing functionality. Gain access to a robust community of technical practitioners to help you realize your dreams. Drupal is multi-lingual and responsive out of the box. It easily connects to the social world and provides one brand voice for every channel. Gartner named Acquia a Leader in web content management for the second consecutive year. Gartner recognizes Leaders as having the highest combined scores for Ability to Execute and Completeness of Vision. With the Acquia Platform, real-time customer analytics and personalization help you deliver the right experience, at the right time, to the right device. This week’s infographic comes from Etail East, examining the mobile commerce landscape in 2014. 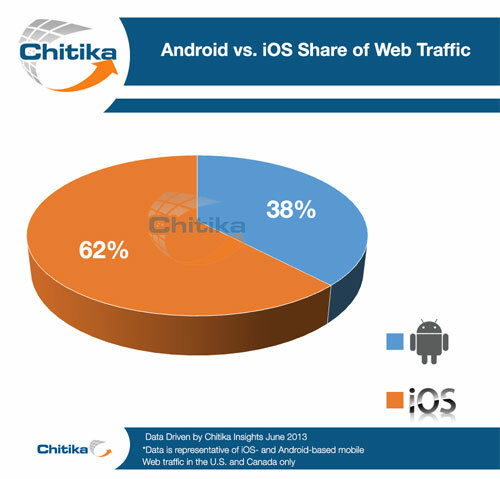 Last post we looked at the psychographic segments of iPhone and iPad users, and as promised, today we examine the differences between iOS and Android owners: device share, Web use, demographics and mobile commerce activity. 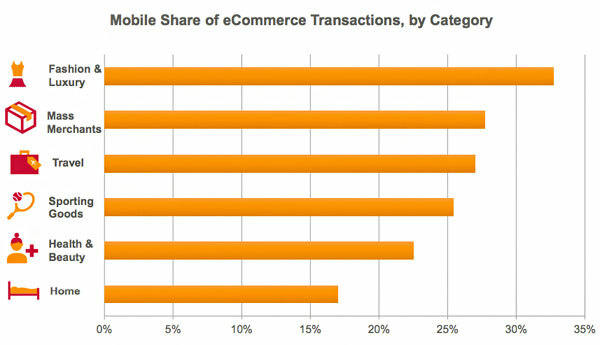 There’s a big misconception about mobile commerce. Despite the deadness of malls, the maturation of ecommerce, the dominance of Amazon and closures of numerous brick and mortar shops, over 90% of retail sales still happen offline. It’s not uncommon for a large retail brand’s online channel to account for less than 10% of sales. 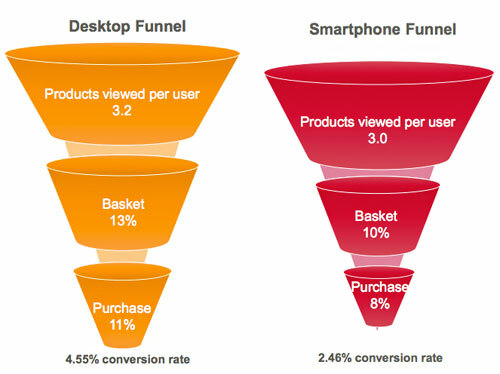 Combine this with statistics of mobile visitors still converting lower than desktop, many business leaders believe the mobile opportunity represents merely a piece of a small pie — that it’s only online shoppers moving to mobile, and cannibalizing desktop sales. Even if the piece is getting larger proportionately each year, unless mobile is understood as an important part of the offline shopping experience, these leaders will continue to defer investment and miss the mobile opportunity (you may consider it to already be the mobile necessity). 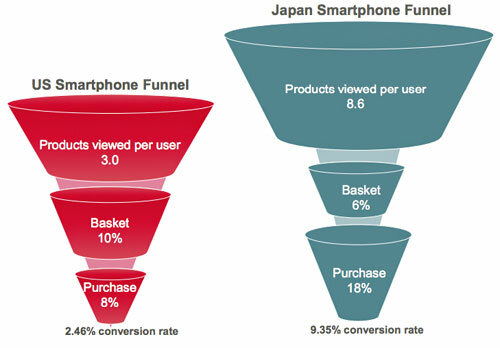 The idea that mobile is a digital channel is a misconception. Mobile serves all customers – both on-the-go online customers and digitally empowered in-store shoppers through accessible content such as product information and reviews, endless-aisle capabilities, augmented reality, social sharing and more. Research by Google found 84% of shoppers that own a smartphone use their device to help shop while in a store, with almost half of them using their devices for 15 minutes or more. One in three prefer to use their device to look up information rather than ask store employees, and shoppers who use mobile in-store buy 25-50% more. Forrester Research predicts 45% of offline retail sales will be influenced by the Web by 2020. Mobile more than a touchpoint – customers use mobile to access touchpoints beyond your online catalog/storefront including native applications, beacons in-store, social networks and social shopping apps. An omnichannel retailer’s mobile strategy needs to account for all the ways customers want to use mobile, and craft the best experiences around them. Where should responsibility for mobile investment and ownership fall in the omnichannel retail organization? 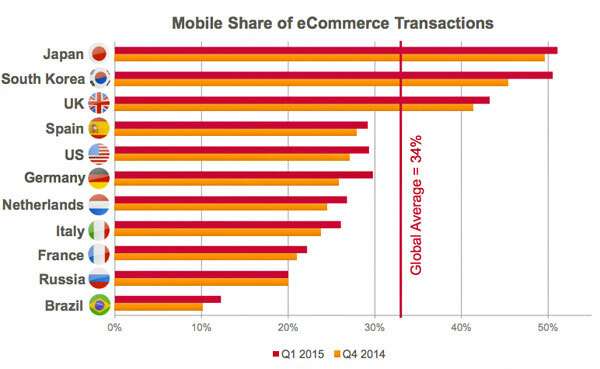 For many, mobile lives under ecommerce. For some, it’s a stand-alone silo. And for a few, a leadership role such as the COCO (Chief Omnichannel Officer) exists to oversee and align all customer-facing touchpoint experiences, rather than siloing marketing, stores, ecommerce and mobile. 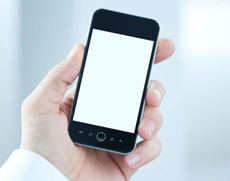 Keeping mobile siloed can make it more difficult to win executive buy-in, budgetary support, technological investment and human resources to achieve omnichannel integration. 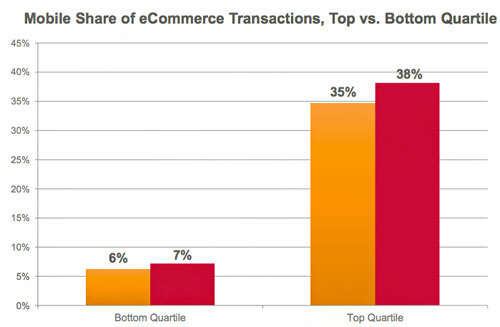 Mobile sites will merely become slicker, faster versions of the e-store, missing the bigger opportunity. 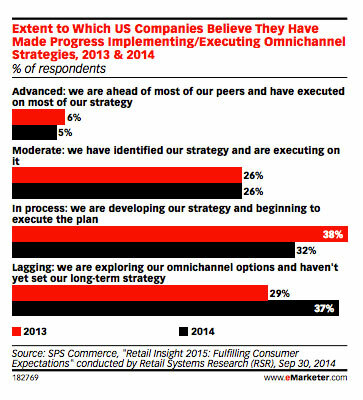 In an SPS Commerce/RSR survey, 37% of businesses report they are lagging in their omnichannel strategy, exploring omnichannel options but not yet having set a long-term strategy. 32% are are beginning to develop their strategy, 26% are beginning to execute and only 5% have executed most of their strategy. It’s not just organizational silos that hold retailers back, but also legacy technology that doesn’t support shared services, data or analytics. But so long as the organization remains siloed, even updated technology is less likely to be unified without a shared strategic, omnichannel vision. Digital leaders that understand that it takes both the right organizational structure and technology investments to win in omnichannel retailing won’t treat mobile as a channel, but the bridge between marketing, digital and physical, and the key to satisfying customer experiences. 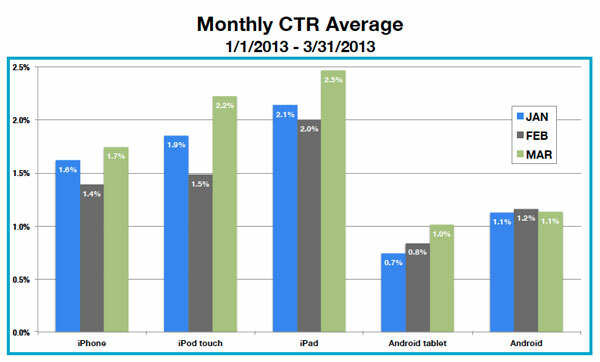 (Next week we’ll look at how mobile affects “omnichannel” strategies for online pureplays). 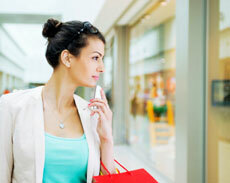 Are You Ready for the New Mobile Commerce? The traditional notion of executing a great multichannel retail strategy by aligning physical stores with a catalog, call center, and website has been completely disrupted. Rapid consumer adoption of advanced devices such as smartphones and tablets, high penetration rates for social media platforms with a significant mobile component (e.g., Facebook, Twitter, Foursquare), and the rising importance of digital goods, has led to skyrocketing customer expectations. 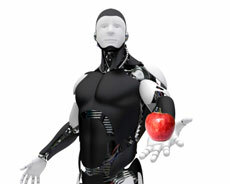 Customers now expect to be able to interact with your brand in a seamless and consistent way on any hardware, anywhere. To remain competitive, businesses must understand the strengths and limitations of emerging mobile touchpoints, the context in which each is used, and how other enterprises have begun to leverage them. As ecommerce moves away from a singular website experience to the modern landscape of fragmented mobile devices, platform-specific apps, and social networks, savvy executives will also need to focus on the flexible architecture and culture needed to execute the service-oriented technology that is rapidly becoming essential to keeping up with the pace of disruptive change. This white paper outlines key trends in consumer expectations for mobile shopping, the technical prerequisites you will need in your ecommerce systems to deliver these applications, and how to effectively capitalize on your existing data and infrastructure to profit from these new touchpoints.